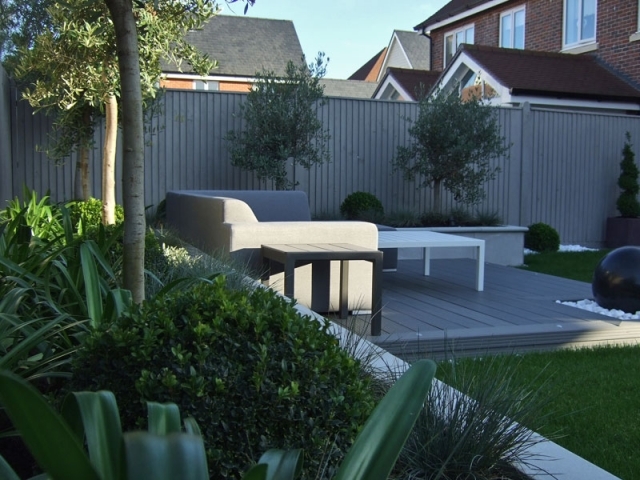 This modest sized estate garden was an impersonal blank canvas. The brief was to create a private contemporary garden for entertaining with raised planting, a relaxed seating area, a dining area and space for a large Pizza Oven whilst retaining a decent sized lawn. All hard landscaping materials were to be of grey tones, while planting was to be minimal with a restricted colour palate. The same dark grey porcelain paving was used to create separate spacious and easy to maintain dining and cooking areas. 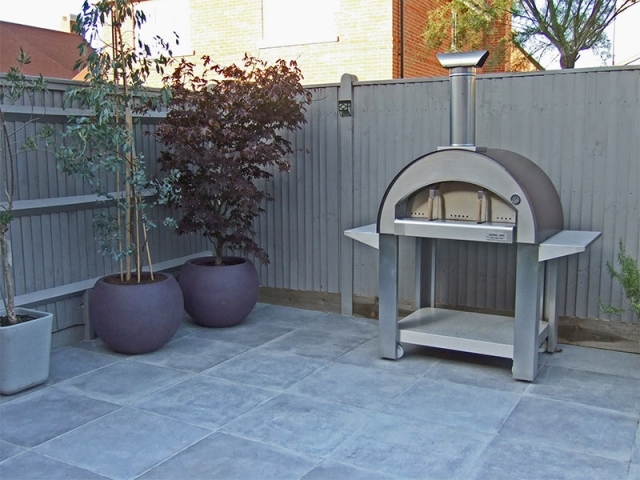 Ample space around the Pizza Oven allows for communal gathering whilst enjoying the baking. 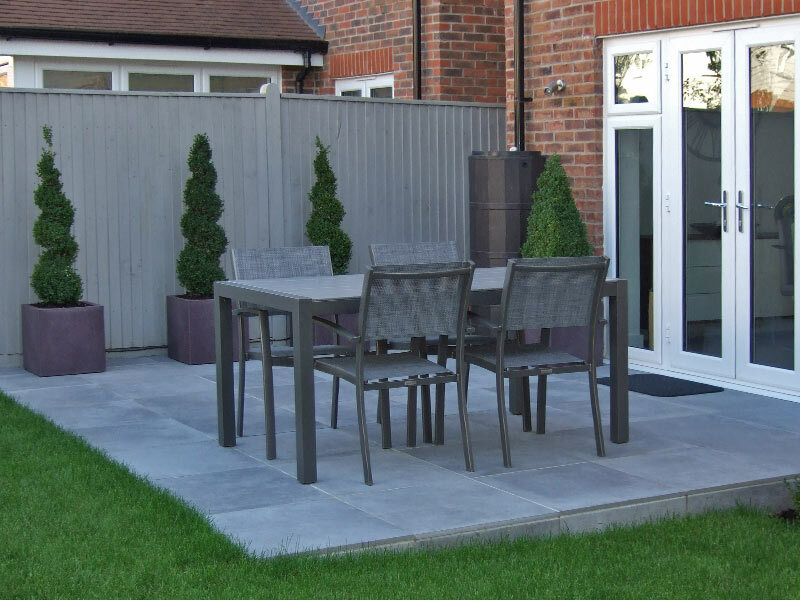 A generous raised border clad in pale grey porcelain with bull-nose sandstone capping forms a comfortable L-shaped surround for a grey composite deck with a a black granite sphere water feature. 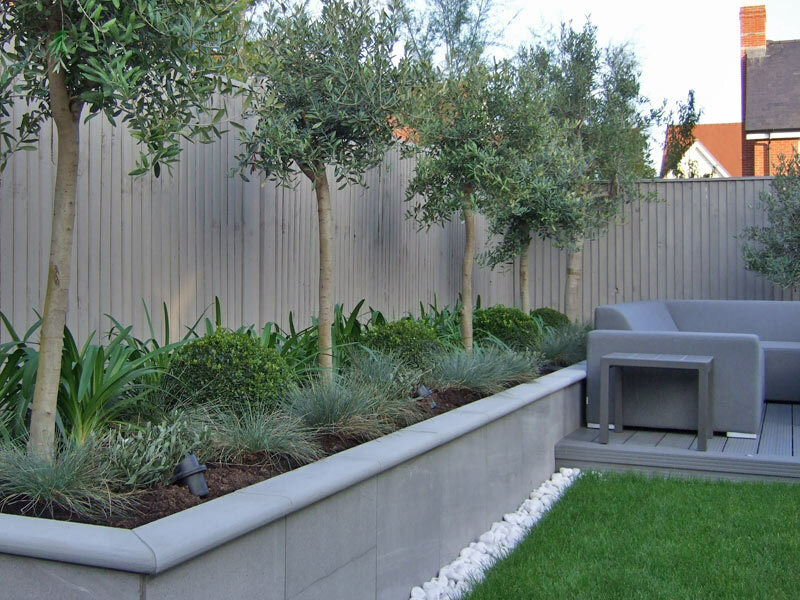 Screening is provided by standard Olive trees under planted with evergreen Box balls, Heuchera and Festuca glauca grasses. 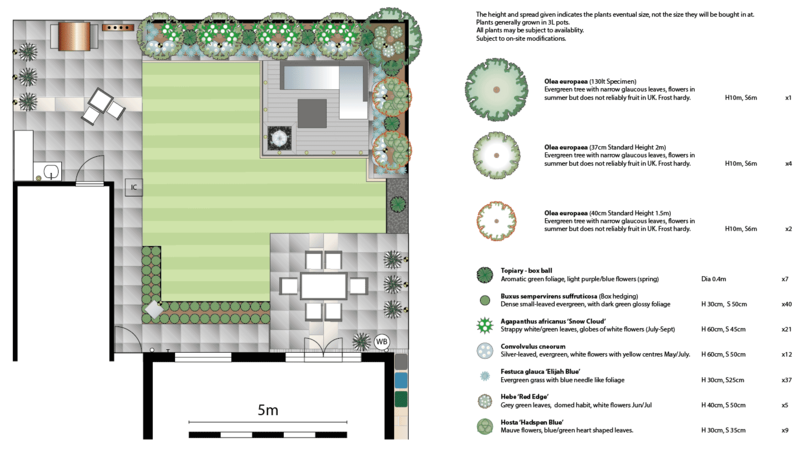 Summer colour is provided by Agapanthus, Hebe & Hostas. 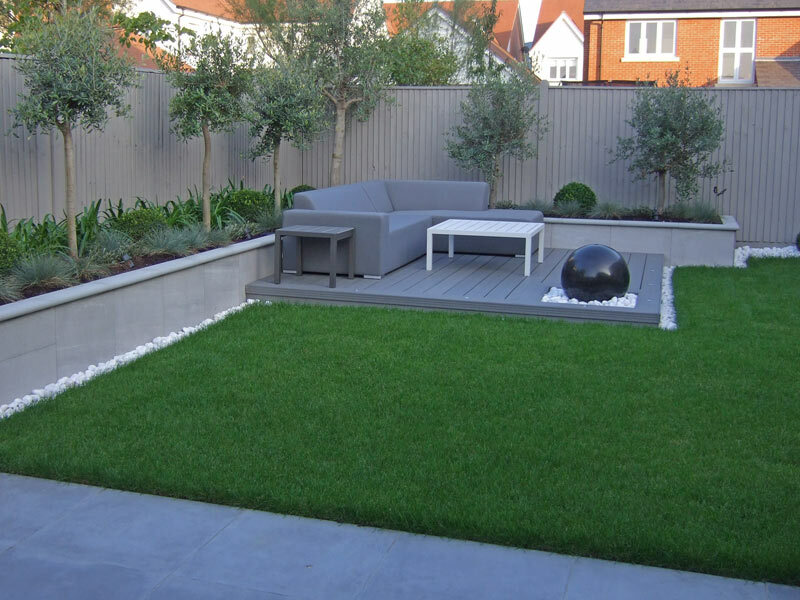 Click on a thumbnail image below to view gallery.